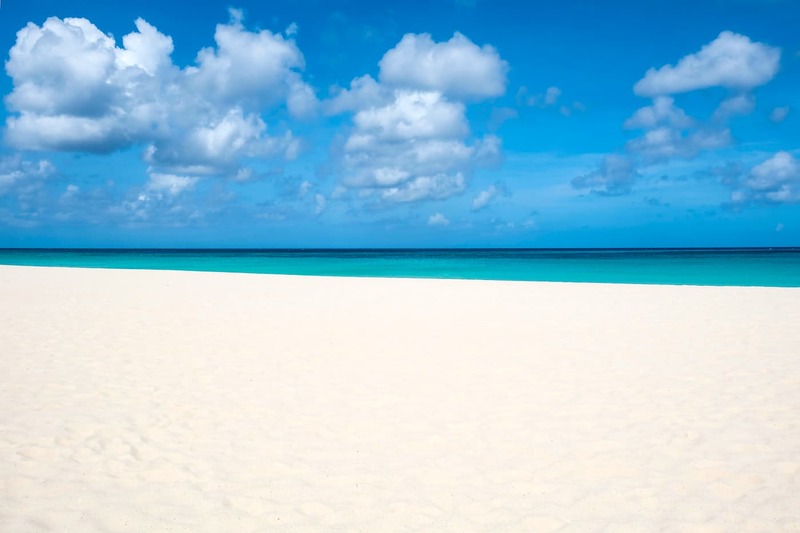 Manchebo Beach, Aruba. A perfect slice of Caribbean paradise. Swimming Conditions: Great, with a gentle surf. Though it’s sometimes hard to tell exactly where one beach ends and another beach starts, Manchebo Beach is located right in front of the Manchebo Beach Beach Resort & Spa that’s located on the shores of the majestic Eagle Beach. Also known as Punta Brabo, the beach at the Manchebo Beach Resort is by far Aruba’s widest beach, offering shade cabanas and plenty of beach lounges. This beautiful and wide beach is curved, approximately 800 meters long and 90 meters at its widest, and mostly faces west. Just throw your towels out on the silky white sand and spend the whole day here – ordering drinks from a nearby beach bar. Conclude your day at the beach by enjoying some of the best Happy Hour in Aruba at the Pega-Pega Café Beach Bar, it goes from 5 until 6 PM. This gorgeous beach has several restaurants nearby where you can enjoy a healthy lunch. Don’t forget to watch the sunset here – it’s absolutely stunning! The beach at Manchebo is just another piece of paradise on Aruba. There are several beach resorts near Manchebo beach. Near the point where the beach changes into Eagle Beach, you’ll find the romantic four star Bucuti & Tara Beach Resort, an adult-only boutique resort featuring an ocean-front restaurant with amazing views and healthy food options. Then there’s the renowned Manchebo Beach Resort and Spa, a luxury resort that features an outdoor spa, 3 restaurants with live entertainment and spacious rooms with a private balcony. On the beach, multiple beach cabanas including lounge chairs and towels are available to guests. Just a little further south, you’ll find the All Inclusive Divi Village Golf and Beach Resort. Situated just a few seconds from the beautiful Druif Beach, this family-friendly Aruba beach resort features delicious dining options, exciting casino action, and a full-service spa. To get to Manchebo Beach from Oranjestad, head northwest on Zoutmanstraat toward Arnold M Schuttestraat. Take the first right, and turn left onto Wilhelminastraat. Take the first left onto Arnold M Schuttestraat, then turn right onto L.G. Smith Blvd. Continue to follow Lloyd G. Smith Blvd. Go through the roundabout, and at the next roundabout, take the third exit onto L.G. Smith Boulevard/Sasaki Weg. Turn right onto Caya Punta Brabo, then make a light right to merge onto J.E. Irausquin Blvd. Lastly, make a U-turn, the beach will be on the right.